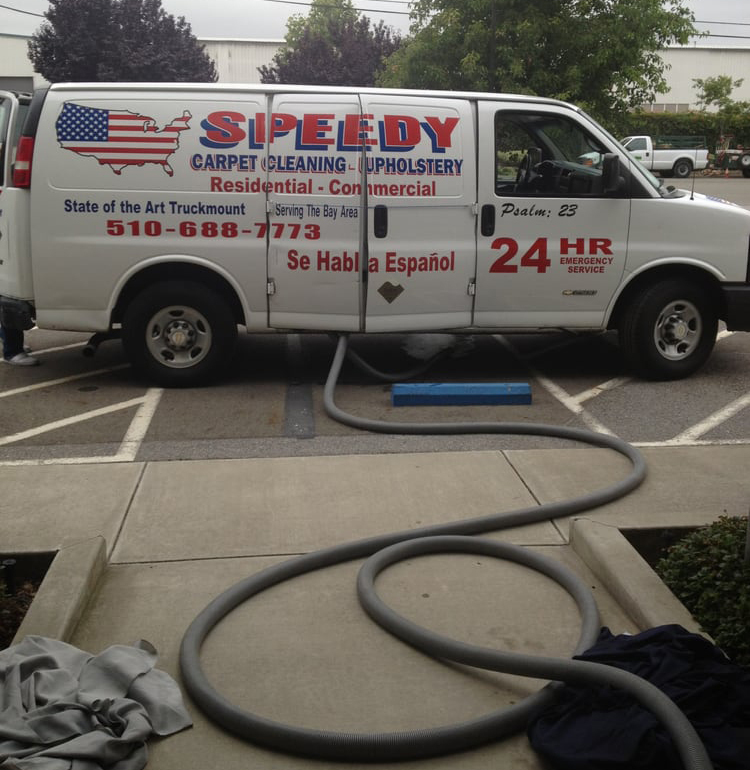 Speedy Steamer is a professional carpet cleaning and upholstery cleaning company that provides comprehensive and sanitary services residential and commercial clients throughout the East Bay Area. We start with an experienced team of professionals – People who have the knowledge and know-how to do their job right the first time. We add green chemicals that are pet and family friendly, but still strong enough to take out stains, clean grout, tile, and remove pet odors. We complete every job by rinsing with clean warm water so that there is no chemcial residue, dirt, and grime left behind. We top off our services with our own guarantee. We provide service 24/7 for emergency water extraction or for scheduled services we have you covered. We provide a One-Call Response system for every customer’s convenience. Our customers receive top-quality service without hidden costs. We value long-term and positive relationships with you. We provide accurate, and detailed quotes so you always know what our service costs. We understand cleaning and our team works efficiently to keep costs at a minimum. We do the job right the first time, so our overhead remains low. We pass those savings on to you. Each member of our team is bonded and insured, and our company holds a CA service License. Our highly skilled team provides outstanding service in an efficient and thorough manner. Put our service to work for all of your cleaning chores.